Display Google search results in unique 3D CUBE style! Boring with the Google search result interfaces? You can try Search-cube now. 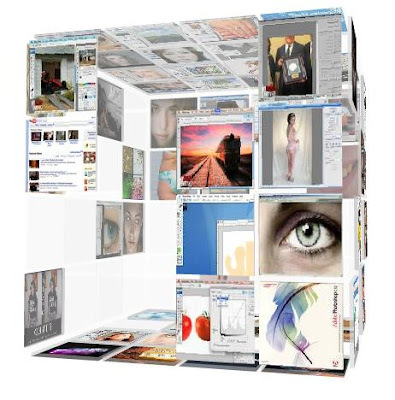 Search-cube is a Visual Search Engine that display search results of World Wide Web for websites, videos and images on a unique, three-dimensional cube style in an animated flash format. Navigating Google Search results with the plain white background and blue links seems quite boring and there’s nothing special about the design. The results as displayed in 3d cube style above when type in a keyword and pressed the search button. You can earch on Google and having the results flash animated on a unique 3-Dimensional cube interface. When you mouse over the images and get a visual preview of the site, you can have a lot of fun with the results of your search information literacy. 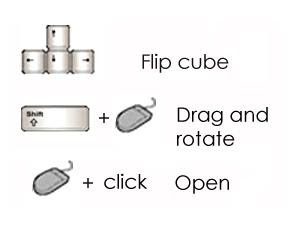 Although it is not a tool to drill for in depth information, but one can see a very good discussion around research by turning around with the 3d cube, a great tool with kids.